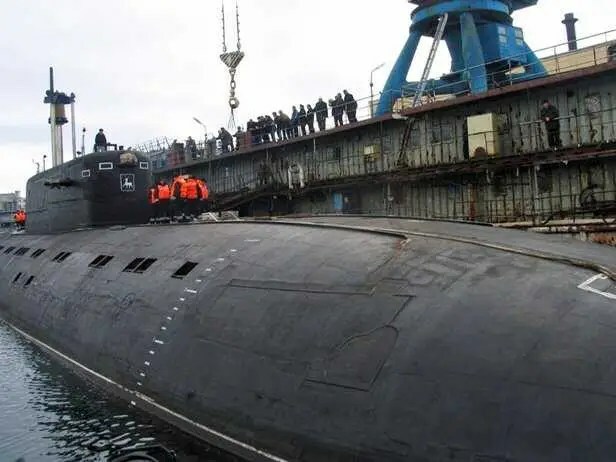 Russia’s newest attack submarine, the Project 855 Severodvinsk, successfully fired its first cruise missile at a land target during manufacturer’s sea trials in the White Sea, a source in the United Shipbuilding Corporation told RIA Novosti on Monday. The Severodvinsk, laid down in 1993, is one of eight Yasen-class boats being built for the Russian Navy. “The multi-role nuclear-powered submarine Severodvinsk fired a supersonic cruise missile at a land target for the first time during sea trials in the White Sea. The target was successfully destroyed,” the source said, without specifying what the weapon was. “This is of course a big achievement for the shipyard and United Shipbuilding as a whole. Manufacturers’ trials are drawing to a close and the boat will soon start state acceptance trials,” he said. The Severodvinsk has a submerged displacement of 13,800 tons, length of 119 meters, speed of 31 knots, and can dive to 600 meters. It has a crew of 90 including 32 officers. Its main armament consists of 3M55 Oniks (SS-N-26) and 3M54 (SS-N-27) Kalibr cruise missiles and conventional torpedos, rocket-torpedos and mines. This entry was posted in The world's submarines and tagged cruise missile, Russian Submarine, Severodvinsk on November 26, 2012 by jasonlockley. A Royal Navy submariner was caught trying to sell secrets to Russia in a sting operation led by the security services, the Guardian understands. Edward Devenney, 30, pleaded guilty on Tuesday to collecting secret coding programs used by the British and attempting to pass the classified information on to Moscow. Devenney, who is formerly from Northern Ireland, was a submariner on HMS Vigilant, a Trident nuclear submarine, when he decided to pass on secrets to the “enemy”, it is understood. 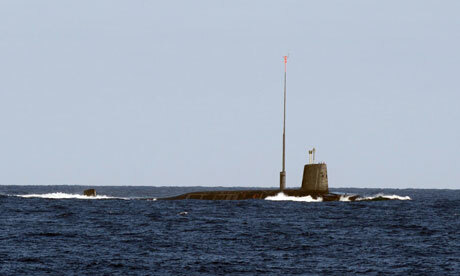 The submarine – one of four that make up the UK’s nuclear deterrent – is normally based at Faslane in Scotland but had been refuelling at Devonport dock in Plymouth when Devenney’s activities raised the suspicions of his senior officers. Devenney’s motivation, it is believed, was unhappiness with his situation and a degree of anger towards his employers after being passed over for promotion, rather than an issue of ideology or money. A prolific tweeter, his behaviour raised the suspicions of his senior officers and over a period of months an undercover operation was carried out. This led to Devenney contacting two people he believed were from the Russian secret service and discussing information relating to the movement of nuclear submarines with them. However, he was in fact talking to British agents. Devenney was arrested and charged under the Official Secrets Act. He appeared at the Old Bailey in London and pleaded guilty to gathering details of encryption programs in breach of the act. The charge related to collecting information for a purpose prejudicial to the safety of the state between 18 November 2011 and 7 March 2012. The information was described in court as “crypto material” – or codes used to encrypt secret information – which could be useful to an enemy. Devenney also admitted a charge of misconduct in a public office in relation to a meeting with two people he believed were from the Russian secret service. He admitted meeting the two individuals and discussing the movement of nuclear submarines with them. He denied a further count of communicating information to another person. The Crown Prosecution Service would not pursue this charge, the court heard. HMS Vigilant’s £300m refit at Devonport involved upgrading the reactor core in a refuelling which will last the submarine the rest of its life. The refit was completed earlier this year and the submarine was returned to Faslane from where it has been taking part in extensive sea trials. Devenney’s career on board the submarine is likely to be over, however. He is expected to be discharged from the navy if he is given a custodial sentence at the central criminal court in London next month. Parts of the prosecution case will be heard in secret. This entry was posted in UK Submarines and tagged Edward Devenney on November 14, 2012 by jasonlockley. The 15,000 tonne Scotland based Trident submarine ‘HMS Vengeance’ sailed into Devonport in March this year. As part of a £350m Ministry of Defence contract to refit and refuel, it’s been suggested that the ballistic nuclear submarine has safeguarded upwards of 2,000 UK jobs across the defence industry. With work on the Vanguard class vessel securing 1,000 jobs at Babcock in Devonport alone, Assystem Energy and Nuclear is representative of a number of other companies involved in ensuring that this nuclear deterrent will continue to operate safely and effectively for years to come once back at sea and operational. Sitting out of the water in her specially converted dry dock, Assystem Energy and Nuclear were invited to step aboard the 150m (492ft) long vessel. HMS Vengeance, the last of her class to be refitted in Devonport is undergoing a complete overhaul of equipment, improvements to her missile launch capabilities and upgrades to the onboard computer systems. A new reactor core will also be fitted, a core that has been designed to last the submarine until she is finally decommissioned. As guests of the HMS Vengeance’s Assistant Marine Engineering Officer – Lieutenant Sam Gill RN, Assystem Energy and Nuclear Bristol based engineers couldn’t help but marvel at the size and complexity of the vessel as they set foot onto the submarine’s casing. Assystem Energy and Nuclear engineering consultancy specialises in mechanical and electrical design, structural integrity work and the generation of safety reports for many primary nuclear components onboard the UK’s existing submarine fleet. Assystem Energy and Nuclear are also involved with future submarine programmes as well as being heavily involved in the civil nuclear sector, supporting new build, maintenance and decommissioning activities. One of Assystem Energy and Nuclear’s bright young engineering stars, who’s soon to finish her PhD said. Assystem Energy and Nuclear would like to thank HMS Vengeance ship’s staff, especially MEO – Lt Cdr Shaun Southward RN & AMEO Lt Sam Gill RN for such an enlightening tour, and the interest shown in how the wider MoD Supply chain works to support the submarine programme. This entry was posted in UK Submarines and tagged Assystem, Babcock, Devonport, HMS Vengeance, Submarine on November 13, 2012 by jasonlockley. For the second time in three months Bill Gertz at The Washington Free Beacon claims to have sources confirming a Russian nuclear submarine was sailing near the U.S. coast. Gertz is a renowned Washington defense insider and says the most recent spotting of a Russian Sierra-2 class submarine, believed to be with Russia’s Northern Fleet, happened as Hurricane Sandy swept up the East Coast. This would be the first time a Sierra-2 class attack submarine has been detected near a U.S. coastline and if the report is true, shows Russia is determined to regain its naval projection power. The Russian vessel is said to have been conducting anti-submarine exercises near the U.S. submarine base Kings Bay in Georgia, but did not threaten a nearby U.S. aircraft carrier strike group. Kings Bay Naval Submarine Base, north of Jacksonville, Fla., is homeport for two guided missile submarines and six nuclear missile submarines. The submarines are known to be a target of Russian attack submarines. Meanwhile, the officials also said that a Russian electronic intelligence-gathering vessel was granted safe harbor in the commercial port of Jacksonville, Fla., within listening range of Kings Bay. The last of its class, the titanium hulled Sierra’s were advanced at the time of their launch in 1992, moreso than Western designs, but they were expensive and very few were produced. This would be only one of two active Sierra-2 subs still in active service, both with Russia’s Northern Fleet. The Sierra carries two types of anti-submarine and torpedoes that it can replace with 42 naval mines. The Beacon reported in August that an Akula class Russian submarine sailed into the Gulf of Mexico. That story was widely circulated as proof of Obama’s failure to reset Russian relations, and illustrate the crippling nature of looming U.S. defense cuts. The Washington Free Beacon is a nonprofit publication funded by the Center for American Freedom, which was profiled earlier this year as the conservative counterweight to the Center for American Progress by Politico’s Ben Smith. This entry was posted in The world's submarines on November 6, 2012 by jasonlockley.